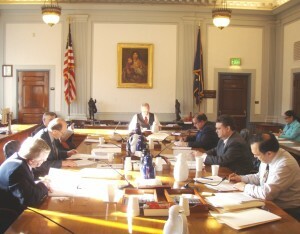 The Senate passed the FY2011 Operating Budget today. The budget funds the workings of state government and provides for important public services. Part of my role on the Senate Finance Committee is working with colleagues in drafting appropriation bills. During this process the Senate made several revisions to the operating budget to make it more efficient. This included cutting $7 million from the governor’s budget request, and only adding select items to meet the needs of Alaskans. 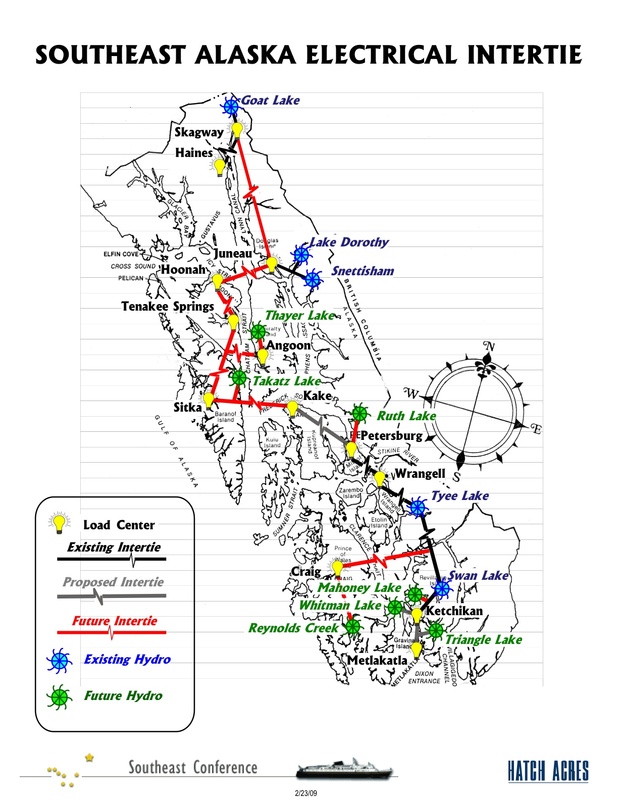 The Senate included several provisions in the budget that will benefit Southeast Alaska. The Alaska Travel Industry Association (ATIA) received an additional $5 million to bolster tourism marketing for our state. The Alaska Department of Fish & Game received nearly $2 million to study changes in Alaska’s fisheries; including Southeast Sablefish and Red King Crab populations. The University of Alaska also received $300,000 to sustain Marine Advisory Program offices in communities throughout Alaska including Petersburg. I’m pleased with the Senate’s work and look forward to advancing these issues during the last few weeks of session. The Senate passed Senate Bill 244 this morning. This bill sets Juneau as the Governor’s official duty station in state law. All state employees, except the Governor and Lt. Governor, have a defined location where their job is based. I introduced this bill with Senator Egan to clarify a long-standing precedent that the Governor should be based in Alaska’s Capital City. It’s important to have this tradition affirmed in state law. I’m pleased the Senate passed the bill, and will work to advance the legislation in the state house in the coming weeks. The legislature passed House Bill 276 today amending the boundaries of Fort Rousseau Causeway State Historical Park in Sitka. This is a housekeeping bill that helps finalize a longstanding community priority. In the run-up to World War II, the army built several fortifications encircling Sitka Sound. The construction connected several small islands near the Navy Sea Plane Base, and included a causeway ending at Fort Rousseau on Makhnati Island. The park was established in 2007 to preserve the remaining ruins, and make the area more accessible for recreation and visitors. This bill adjusts the park’s boundary with Sitka’s airport to comply with FAA safety regulations. I’ve strongly supported creating the park to preserve a chapter of Sitka’s history, and was pleased the legislature passed this bill to help complete the park’s establishment. Last week I attended the Energy Council’s annual meeting in Washington D.C. The meetings were a great forum for discussing energy policy with some of the most knowledgeable people in the world on these issues. The Energy Council is a legislative organization with representatives from 12 states, 6 provinces, and the country of Venezuela. The conference provides an opportunity to introduce policy-makers to issues important to Alaska. While in Washington, I discussed construction of a Natural Gas Pipeline and the Southeast Alaska Intertie with federal energy regulators at FERC. I also met with Alaska’s Congressional Delegation to get their perspective on federal policy with regard to Alaska. The conference featured several presentations that offer insight for Alaska such as Shale Gas development, Clean Coal technology, and Heavy Oil production. I’ve served on the Energy Council’s executive committee for four years and consider legislators’ work on the conference a key part of our efforts to develop Alaska’s energy resources. I’m traveling to Washington D.C. this week to take part in the Energy Council’s annual meeting. The Energy Council is an organization of energy-producing states and provinces charged with promoting energy policy. I have served on the Council’s executive committee for the past four years and attend each of its quarterly meetings. The meeting provided a great opportunity to discuss important energy issues and with federal regulators and policy makers. This work is invaluable as we make important decisions about our state’s oil and gas resources.